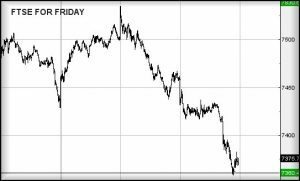 We’ve been banging on about 7360 on the #FTSE for an age, most recently on Friday . Given todays low was 7357, we’re a bit chuffed at the index hitting target. Unfortunately, it broke it slightly and while these 3 points may seem minor, we’ve an update required due to the potential for further misery!